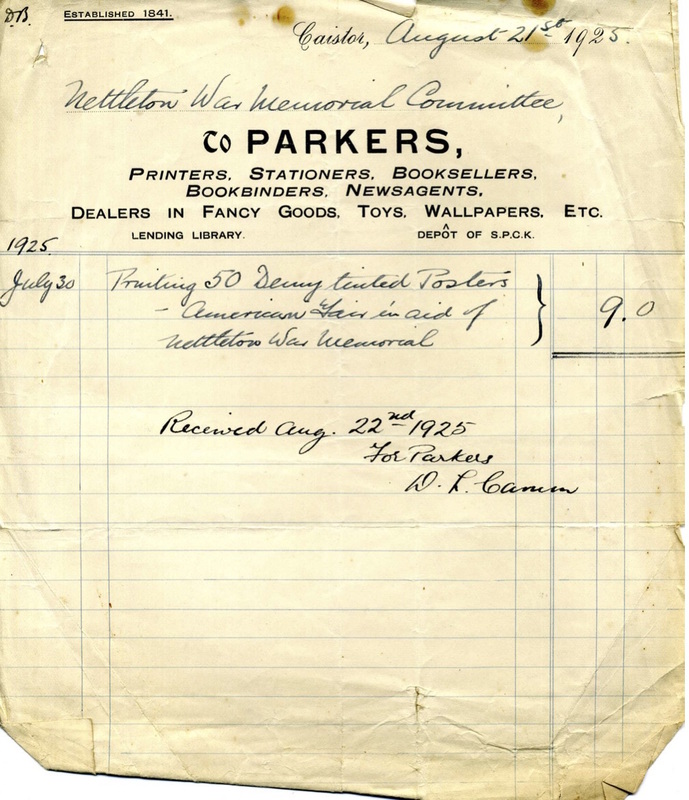 1927 Parker’s were advertised as printers, stationers, booksellers, bookbinders, newsagents and dealers in fancy goods, toys wallpapers, etc. They were also a lending library. Departure point for first buses. These were run by Arthur E. Brown. In 1927 to hire a bus to take a group to Cleethorpes and back would cost £1. 10. 0. I remember Mr. Clarke having the paper shop at Caistor which I now believe has been turned into a pub/restaurant. He used to deliver papers in Nettleton and would give me a lift up to school in a morning sometimes, which was very much appreciated on cold or wet mornings. 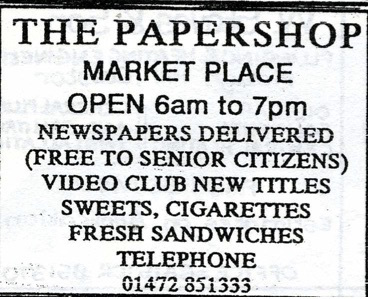 I don’t know how long it was a paper shop but sure it was between at least 1961 and 1971. Probably a lot longer. Was longer than that. I went to Caistor in early 50’s and it was then. I remember that and spending sixpence in the carboard box to get a toy! The now “Catholic Church” was their storeroom. 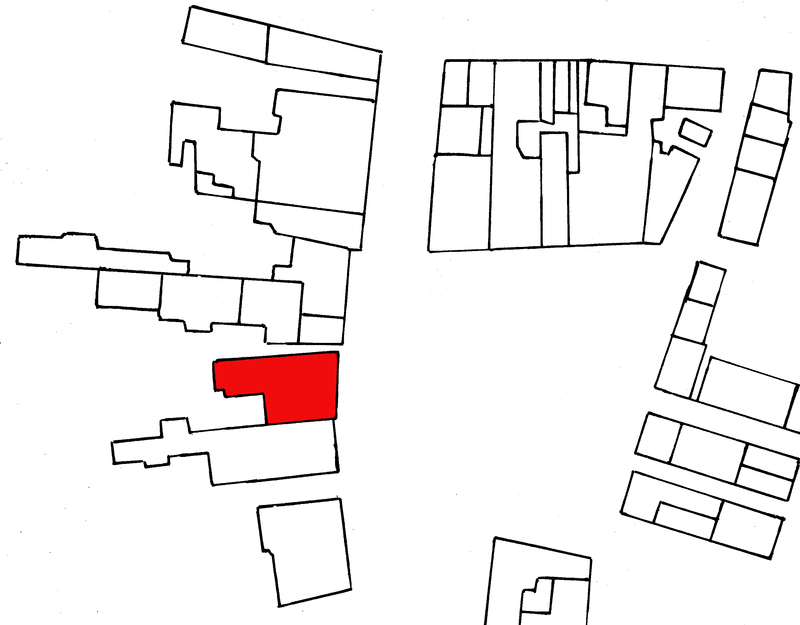 in Bank Lane.They displayed their toys at Christmas upstairs..
Jane Capp – Mum really enjoyed working there. 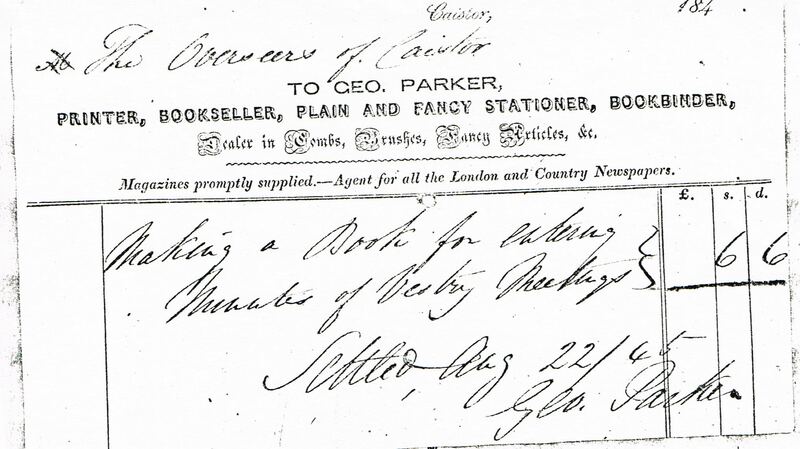 1845 Invoice for making a book for entering number of Vestry Meetings. 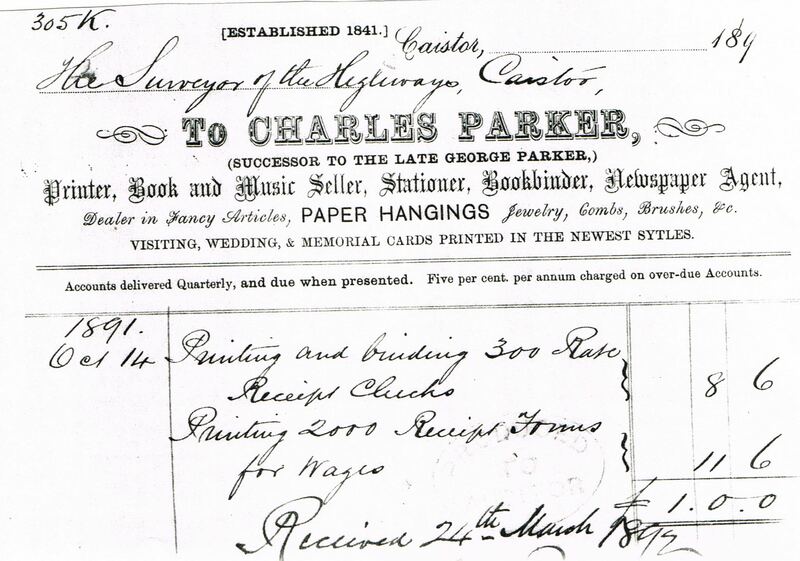 1846 Invoice for Printing 100 Copy of Register of Voters and printing 25 lists of Claimamnts. 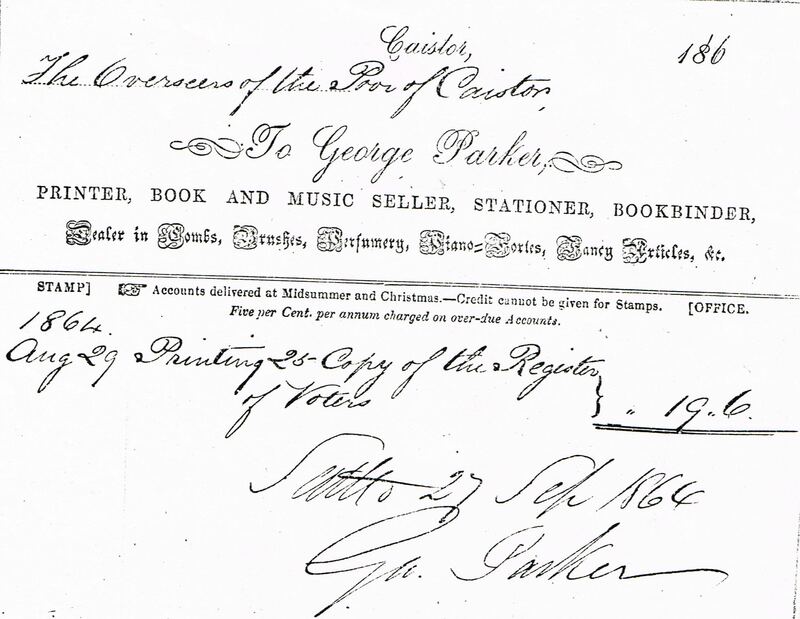 1864 Invoice for the Overseers of the Poor – Printing 25 copy of the Register of Voters. 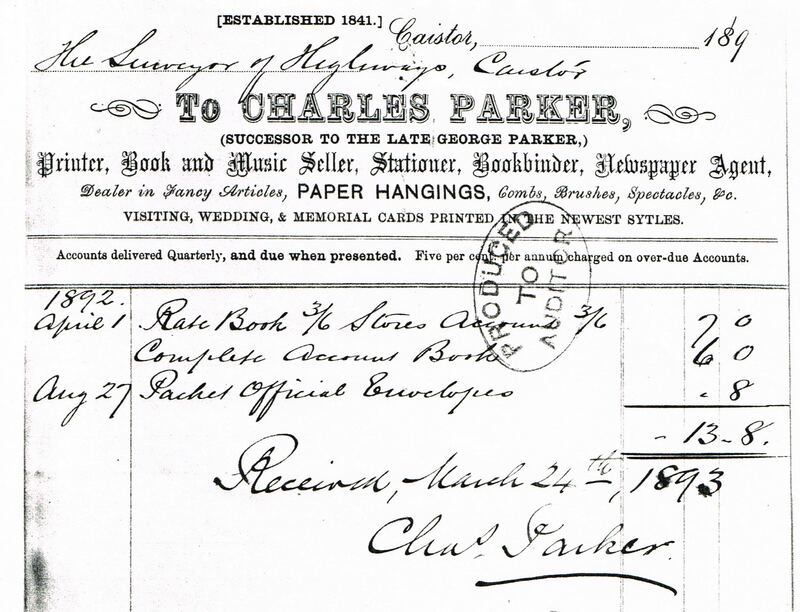 1891 Invoice for the Surveyor of the Highways. Highway Surveyors Account Book & Rate Book. 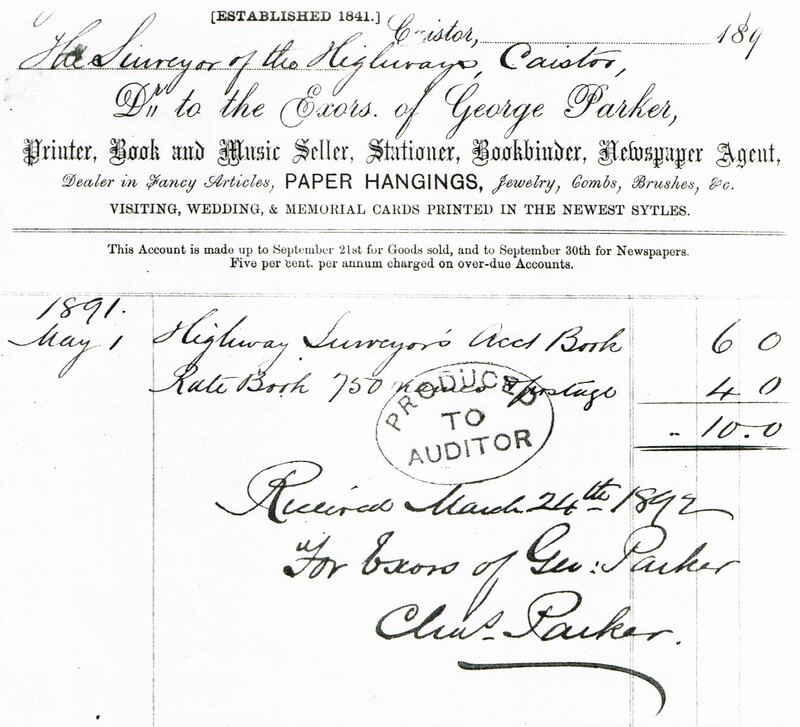 1891 Invoice to the Surveyor of the Highway. Printing and binding 300 Rate Receipt Checks & printing 2000 Receipt Forms for wages. 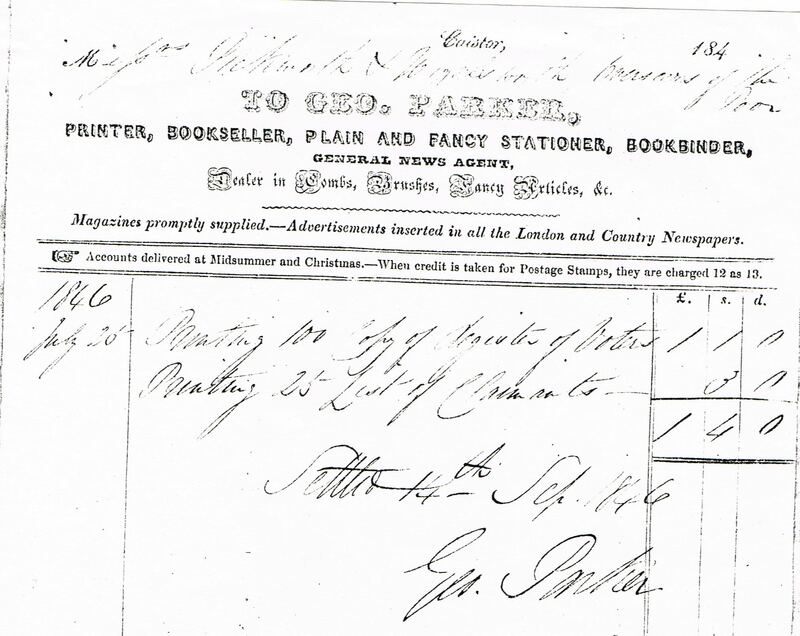 1892 Invoice for Surveyor of Highways. Rate Book Stores Account; Complete Account Book and Packet of Official Envelopes.